In repositories where you have write access, you can edit the name and color of an existing label. Above the list of issues or pull requests, click Labels. In the labels list, next to the label you want to edit, click Edit. In the text box, type your new label name. A color is automatically selected for the label. 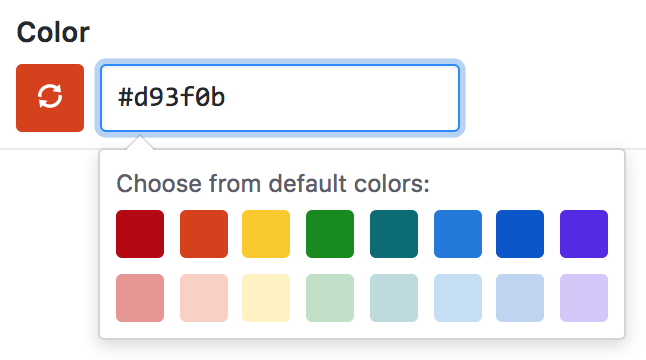 You can customize this color by editing the hexadecimal number or clicking the refresh button for another random selection. "Applying labels to issues and pull requests"
"Filtering issues and pull requests by labels"